This tutorial explains step-by-step how to change MySpace password. You will need to know your old MySpace password (current one used in the system) in order to be able to change it to the new password. 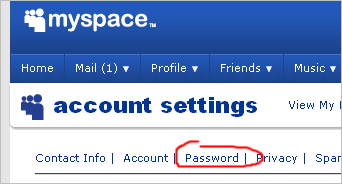 If you forgot MySpace password there is still a chance to change it to the new password. 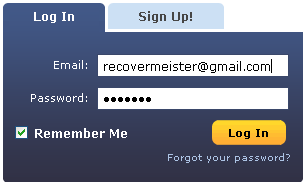 Click here to skip if you remember your old MySpace password. 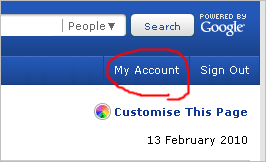 The next section is for those who have asked themselves a quiestion: how do i change my MySpace password? 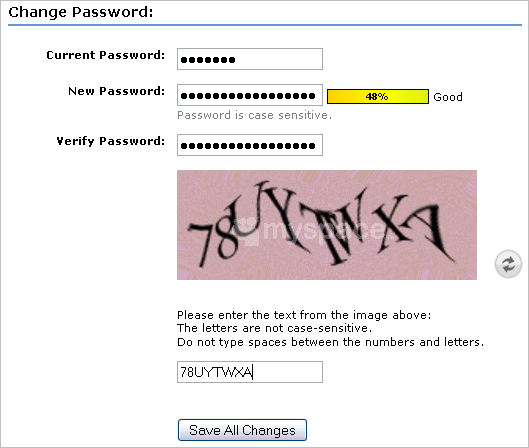 If the password is correct you will be taken straight to the Change Password page. That's it! 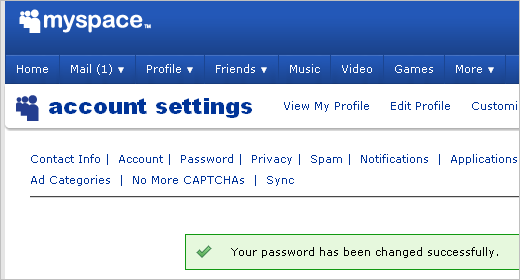 You know how to change password on MySpace now!